April 1915, one hundred years ago. Five thousand Armenians, persecuted by the Turks, seek refuge on the massif of Musa Dagh, north of the Bay of Antioch. The following excerpt is taken from Franz Werfel’s historical novel The Forty Days of Musa Dagh (1933), which narrates the story of this case of Armenian resistance during the “Great Crime”, in Armenian Medz Yeghern. 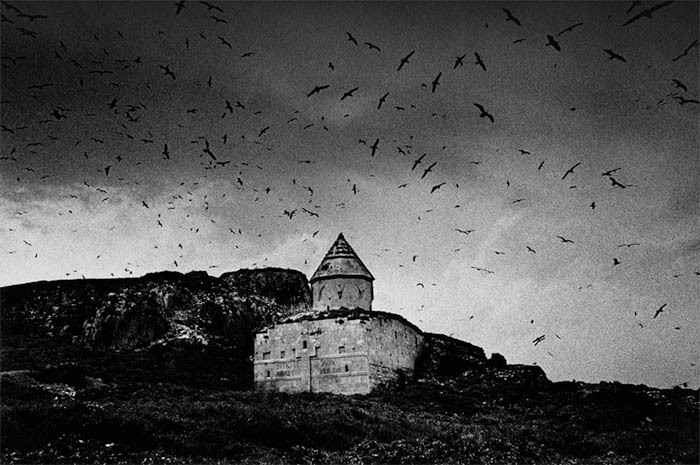 In this piece, the Armenian Gabriel Bagradian is struggling with the preparations for the defense of Musa Dagh, an “island” of salvation for five thousand Armenians. Every gesture is permeated by precision, from the census of the Armenians of the region, through the mapping of the area, to the analysis of the mountain itself, essential for the defense, despite the scarce military resources. 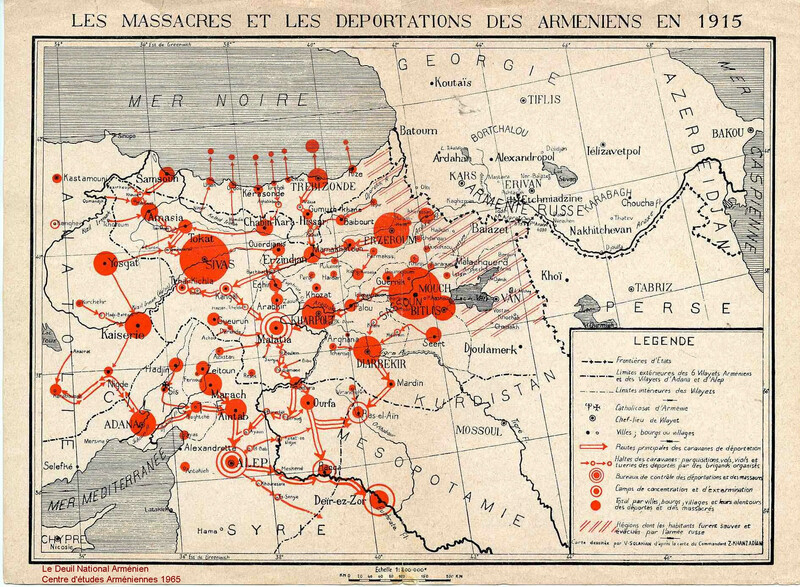 Only careful preparation and deep knowledge of the area – do not forget that until 1915, the region was mostly inhabited by Armenians – can help the small group of Armenians escape the immense tragedy that was taking place at that time. “Now that he had no Stephan to teach, Samuel Avakian had another, entirely different occupation. Gabriel passed him all the rough notes which he had been collecting for many weeks and asked the student to reduce them to one comprehensive, statistical statement. Avakian was not told why. This census included the Bagradian family, with dependants. But, aside from such lists, more exact classifications were drawn up, giving the number of families in each village according to occupation or craft, indeed from every conceivable angle. But it was not only a matter of human beings. Gabriel had tried to find out the number of head of cattle in the district. That had been by no means an easy task, an only partially successful one, since not even the mukhtars knew the exact figures. Only one thing was certain. There were no big livestock, no oxen or horses. On the other hand, every well-to-do family owned a couple of goats and a donkey, or a riding and sumpter mule. The larger herds of sheep, owned by individual breeders of communes, were driven, in the fashion of all mountaineers, up onto the quiet meadow pasturage – sheltered meadows where they stayed from one shearing to the next in the care of shepherds and shepherd’s boys. It proved impossible to get any exact idea of these herds. The industrious Avakian, to whom every task was a boon, went zealously forth into the villages and had already transformed Bagradian’s study into a kind of statistics bureau. Secretly he rather scoffed at this very elaborate hobby, by which a rich man was attempting to fill up the days of an indefinite period of suspense. Nothing seemed too trifling for this pedant, who had obviously conceived the idea of writing a scientific memoir on the village life around Musa Dagh. He even wanted to know how many tonirs, kneading-troughs walled into the ground, there were in the villages. He investigated the harvests minutely and seemed to be worried by the fact that the mountain folk imported their maize and the reddish Syrian wheat from Mohammedans down in the plain. It seemed to annoy him that there should be no Armenian mills, either in Yoghonoluk and Bitias or elsewhere. 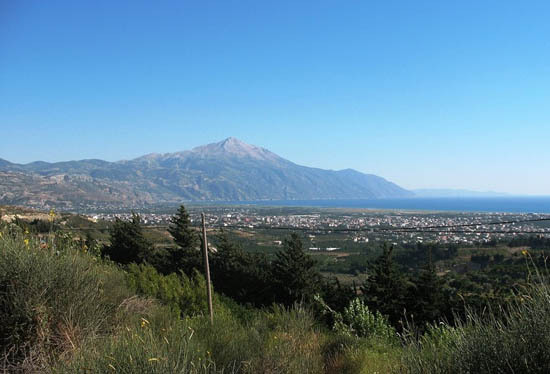 He even ventured to trespass on Krikor’s preserve and inquire as to the state of the drug supplies. Krikor, who had expected to display his library, not his pharmacy, traced the curve of the roof with a pair of disillusioned fingers. On two small shelves bottles, jars, and crucibles of all kinds were set out, painted with exotic inscriptions. It was all there was to suggest a chemist's shop. Three big petroleum jars in a corner, a sack of salt, a couple of bales of chibuk-tobacco, and some cheap ironmongery indicated the more active side of the business. The mukhtar began to squint horribly, and wagged his bald pate. But since Kebussyan, for all his squinting and wagging of the head, could not manage to get away from his guest, he ended at last by double-bolting the parlor door. In a frightened hiss he told his story. In 1908, when Ittihad had gone over to revolution against Abdul Hamid, the Young Turkish agents had distributed weapons to all districts and communes of the empire, especially to the Armenian districts, which were regarded as the chief supporters of the revolt. Enver Pasha had of course known all about it and, when war broke out, his instant order had been to disarm the Armenian population. Naturally the character and methods of the government officials concerned had made a great difference to the way in which the order was carried out. In such vilayets as Erzerum or Sivas, hotbeds of provincial zeal for Ittihad, unarmed people had been forced to buy rifles from the gendarmes, simply to hand them back to the government. To possess no arms in such a district was merely considered a cunning attempt to evade the law. But here, under Djelal Bey, it naturally had all gone far more smoothly. That admirable governor, whose humane instincts were always in rebellion against the edicts of the pretty war god in Istanbul, carried out such orders very negligently, where he could not simply allow them to disappear in his wastepaper basket. This mildness usually found its echo in the administrative methods of his subordinates, with one harsh exception – the Mutessarif of Marash. The red-haired müdir of Antioch had arrived one day in January in Yoghonoluk, with the chief of the Antioch police, to collect all weapons. He had gone away again quite peacefully on receiving the smiling assurance that no such weapons had been distributed. Luckily the mukhtar of those days had not given the Committee’s agents a written receipt. Gabriel Bagradian stood reflecting. Really that was scarcely worth talking about. Had the men in the villages no other firearms of any kind? The mukhtar writhed in inner conflict. Apart from his brothers in office, Ter Haigasun, and the sexton, there was not a soul who knew that secret. Yet there was something in Gabriel against which Kebussyan could not hold out. He unburdened himself, after desperate admonitions. The chests containing these rifles and supplies were in the churchyard of Yoghonoluk, buried in what seemed the usual graves, with false inscriptions on the crosses. Thoughts at which he himself began to tremble kept haunting Gabriel Bagradian. They had such power to move his heart that he could not escape them, day or night. Gabriel saw only the first steps, only the parting of the ways. Five paces on from where they branched, and all was darkness and uncertainty. But in every life, as it nears decision, nothing seems more unreal than its own aim. Yet was it easy to understand why Gabriel, with all his roused-up energy, should have moved only about this narrow valley, avoiding any avenue of escape that might still have been open to him? Why are you wasting time, Bagradian? Why let day after day slip by? Your name is well known, and you have a fortune. Why not throw both these into the scales? Even though you are faced with danger and the greatest difficulties, why not try to reach Aleppo, with Juliette and Stephan? After all, Aleppo is a big town. You have connections there. At least you can put your wife and son under consular protection. No doubt they’ve been arresting notables everywhere, banishing them, torturing them, putting them to death. Such a journey would certainly be a terrible risk. But is it any less of a risk to stay here? Don’t lose another minute. Do something before it's too late to save yourself! This voice was not always silent. But its cries came muted. Musa Dagh stood serene. Nothing changed. The world around seemed to show that the Agha Rifaat Bereket had been right. Not a breath of outside trouble reached the village. His home, which even now he could still sometimes mistake for a vanished fairy-tale, kept fast hold of Gabriel Bagradian. Juliette lost reality in his eyes. Perhaps, even if he had tried, he might not have freed himself now from Musa Dagh. The Damlayik is, of course, the real heart of Musa Dagh. That spur of mountain disperses itself in many ridges towards the north, where they peter out in the vale of Beilan in dream-like natural citadels and terraces, while southwards it suddenly descends, disordered, embryonic, into the plains around the mouth of the Orontes. In its center, Damlayik, it gathers all its strength, its concentrated purpose. Here, with mighty fists of rock, it drags the vale of the seven villages, like a many-folded coverlet, to its breast. Here its two crests rise almost sheer over Yoghonoluk and Hadji Habibli – the only treeless points, grown over with short crop-grass. 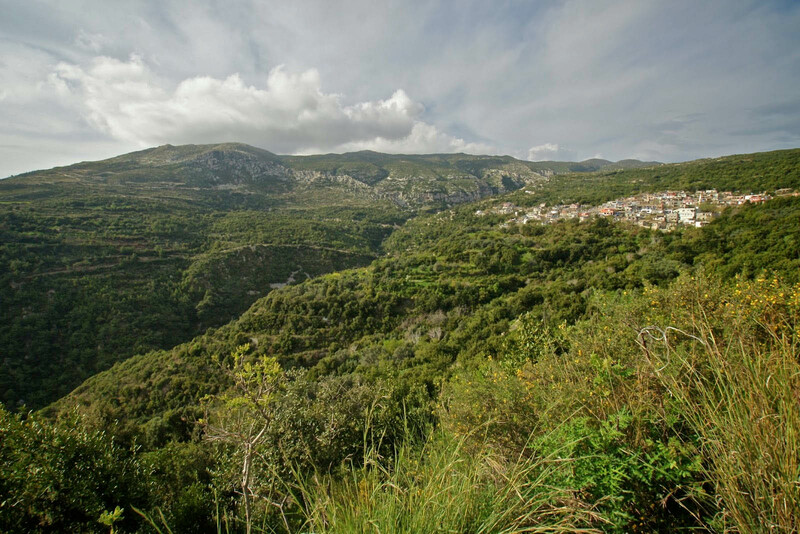 The back of the Damlayik forms a fairly wide mountain plateau; at its widest point, between the ilex gorge and the steep, shelving rocks along the coast, it is, as the crow flies (by Avakian’s reckoning), more than three and a half miles across. But what most of all preoccupied Avakian were the curiously sharp demarcation lines which nature seemed to have set round this mountain plateau. There was, first, the indentation towards the north, a narrow defile laced to a ridge between two peaks, even directly approachable from the valley by an old mule-track, which, however, lost itself in undergrowth, since here there was no possibility of reaching the sea across walls of rock. In the south, where the mountain broke off suddenly, there rose, above a sparse, almost arid half-circle of rocky banks, a towering mass of rock fifty feet high. 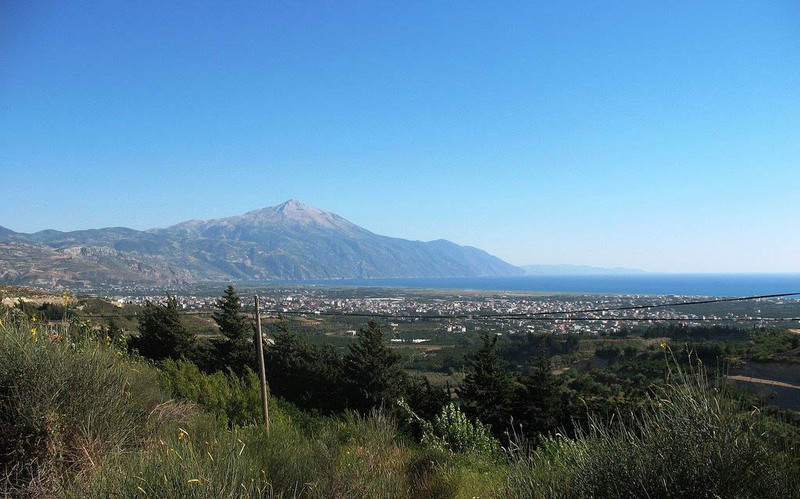 The view from this natural bastion dominated a sweep of sea and the whole plain of the Orontes with its Turkish villages as far as away beyond the heights of the barren Jebel Akra. One could see the massive ruin of the temple and aqueduct of Seleucia, bent under the load of its green creepers; one could see every cart-rut on the important highroad from Antioch to El Eskel and Suedia. The white domino-houses of these towns gleamed, and the big spirit factory on the right bank of the Orontes, in nearest proximity to the sea, stood livid in sunlight. Every strategic intelligence must perceive at once what an ideal place of defense the Damlayik was. Apart from the arduous climb up the side facing the valley, which exhausted even leisurely sightseers by its rough, uncompromising ascent, there was only one real point of attack – the narrow ridge towards the north. But it was just here that the terrain offered defenders a thousand advantages, and not least the circumstance that the treeless declivities, strewn about with knee-pine, dwarf shrubs, tussock grass, and wild bush growths of every kind, provided a difficult series of obstacles. Avakian's map-drawing efforts took a long time to satisfy Gabriel. Again and again he discovered fresh mistakes and inadequacies. The student began to be afraid that his employer's hobby had little by little become a mania. He had still no inkling. Now they spent whole days on the Damlayik. Bagradian, the artillery officer of the Balkan war, still possessed field-glasses, a measuring-gauge, a magnetic compass, and other, similar surveying-instruments. They came in very useful now. With stubborn insistence he made certain that the course of every stream, each tall tree, big block of granite, was being marked. And red, green, and blue markings did not suffice him. Strange words and signs were added. There was no end of such secret terminology. Gabriel seemed to be looking with particular zest for some spot which he would choose for its quiet, sheltered beauty. He found it. And it, too, was near a well-spring, but nearer the sea, in a place between high plateaus of sheer rock, where a dark-green girdle of myrtles and rhododendron bushes extended. But Gabriel had already gone on and did not hear him.